You know you are going to have good days and bad days. 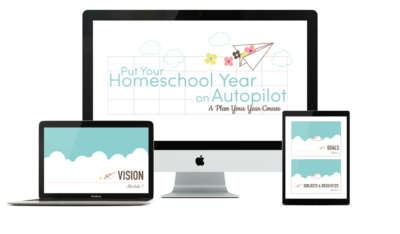 We’ve been talking the past couple of weeks about how we might be the ones sabotaging our homeschools. We also discussed the importance of having our attitudes ordered rightly because someone might be watching. But what does this look like in the day to day of our home? We have meals to cook, errands, appointments, and a house to clean. And then there are the unexpected problems that come up in our week. 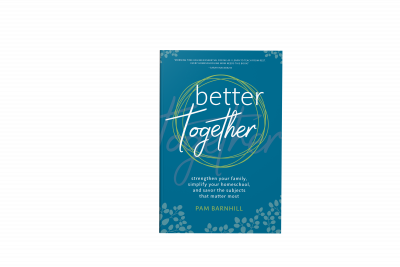 So often we get caught up wallowing in the difficulties of our bad days (and in homeschooling, those can be fairly common) that we neglect to shore up the normal ones. And we can’t completely avoid every challenge. Having a proactive attitude and a good system in place will keep our days from spinning completely out of control on normal days or even on bad days like when sickness hits, doctor’s appointments are needed, or the husband springs surprise guests on you. So here are some practical solutions that will make a huge difference in your normal days. And a tip or two for each area that might help for when days go totally bad. Ah, such a big one. You have to serve three of these a day, and the kids are still always hungry. What is a proactive mom to do? 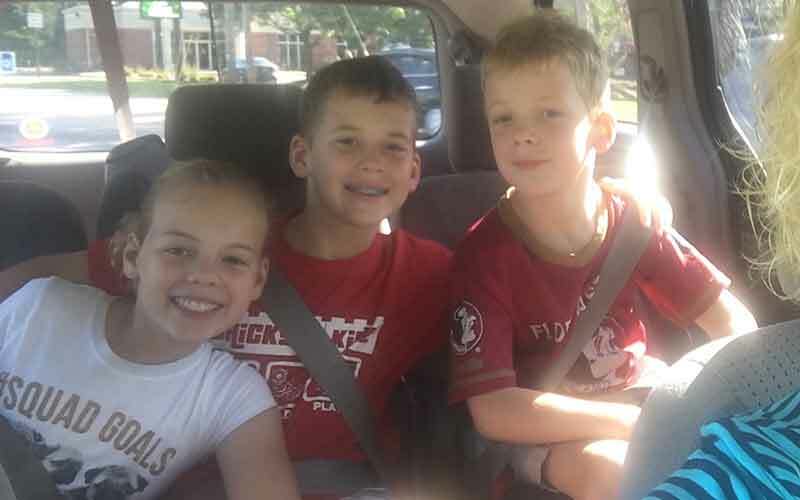 Make this ahead as much as possible and offer options that kids can grab for themselves. Start training kids at about ages 8 or 9 to cook their own eggs on the stove as well. You won’t be far, but then they can do it themselves. Cereal – Pour some milk into a smaller container to keep beside the big one. Oatmeal packets – Get store-bought or make your own. Hot water from the Keurig will mix it right up. Keep a spouted measuring cup handy and teach them to pour less water at first. Frozen eggs – You can do these in burrito form or in those little muffin cups. Requires the microwave. Make and freeze lunch items in bulk. I use these recipe guides from Not Consumed and they work well for a season (my kids won’t eat them day after day). Have kids “pack” their own lunches in the mornings. Let them figure out what they want to eat and set it in a designated spot. Then you don’t have to stop your school day — they just go grab their lunch and you can do the same. As soon as you have a kid who can do it, make “fixing lunch for everyone” a chore on the big kid’s list. Then you can arrange your schedule to work with someone else while they are getting lunch on the table. When you meal plan (see below), go ahead and write in what you will have for lunch each day — especially if you still need to do all of the prep yourself. At least then there will be no decision fatigue at lunchtime and you can grab it and get started. You might even be able to prep some lunches before you begin in the morning. Plan, plan, plan. No matter how you do it — strict daily schedule, list of meal ideas — just be sure to have an idea of what you are going to make for dinner for the next week or two. Ideally, you will sit down and consult your schedule when you make it. I know Wednesday night dinners have to be quick and easy because kids have to be at choir practice at 5. They come home from church hungry at 7:30 no matter what they eat, so dinners don’t have to be big or fancy at all. This is not the night for me to do homemade lasagna or even crockpot stew. Rotisserie chicken from the grocery store with some deli sides or a couple of frozen pizzas and a salad is better. Right now I am enjoying 5 Dinners in an Hour. I don’t always do five dinners a week because we have too many other favorite meals we enjoy. I have the custom meal plan so I will make a few of the freezer-friendly meals at one time and use them over the course of a few weeks. On that same note, I have about three recipes that are easy to make two and freeze one. I make them about once a month and that means a few dinners each month are just remembering to thaw. Always keep the supplies for a couple of emergency dinners in your pantry/freezer. One of those frozen bag meals with meats, veggies, and sauce. Or spaghetti and a jar of marinara or alfredo sauce and some frozen veggies. Tuna, pasta, and frozen veggies make a casserole (freeze a portion or two of cheese so you will always have some on hand to sprinkle on top). None of these ideas requiring thawing and will be ready in under 30 minutes. If you have an Instant Pot, perfect one or two quick recipes for it. You can put frozen chicken in that thing and have a meal in under an hour. Keep some restaurant gift cards for very bad days (or a stash of “emergency” cash you build from saving on the grocery budget). Avoid the temptation to use them too freely, and they can bail you out in a pinch. Don’t be afraid to order pizza or Chinese from time to time. Try, try, try again to never make appointments during school hours. Honor your school day and try to do everything in your power to schedule appointments for after you are done. If you can have a day you reserve for appointments, you can always plan to end school by noon on that day. Early afternoon slots will still get you in before local schools are out and sometimes having the first slot after lunch means you get in and out quicker. Now I cheat on this one some. I always schedule orthodontist appointments for 8:30 or 9 AM. They are quick, the before-school crowd is gone, and we hardly ever start school that early anyway. So the appointment gets us moving and then we come home and begin school. Your mileage on this may vary. But the strategy is to not schedule things willy-nilly, any old day of the week at times like 10:30 or 11:00 AM. You will feel like you never get a break so you can do a full school day. The same with errands. Try to work it so most errands are done on one or two early afternoons a week. Get a system in place for dropping off and picking up dry cleaning, shopping for groceries, or running to the post office. It may seem impossible at first, but there are very few craft store emergencies and you will be surprised at how a little discipline in this area can make a big difference in your days. Emergencies fall into two categories; the “we are sick and need a doctor’s appointment today” variety and “someone broke their arm or got a gash”. In the case of the latter, just deal with the emergency. School is not life or death, but getting the bleeding stopped is. If you spend a fair amount of the winter in doctors’ offices, you might consider making an appointment bag. Keep some math review worksheets, handwriting practice, a few books to read. Add clipboards, pencils, and crayons and you are good to go. It may not be what you planned doing for school that day, but it will still be something you feel good about calling “school” for the day. This is a hard one because while everyone eats and doctor’s appointments are inevitable, everyone’s level of tolerance for mess is different. Here is the deal. 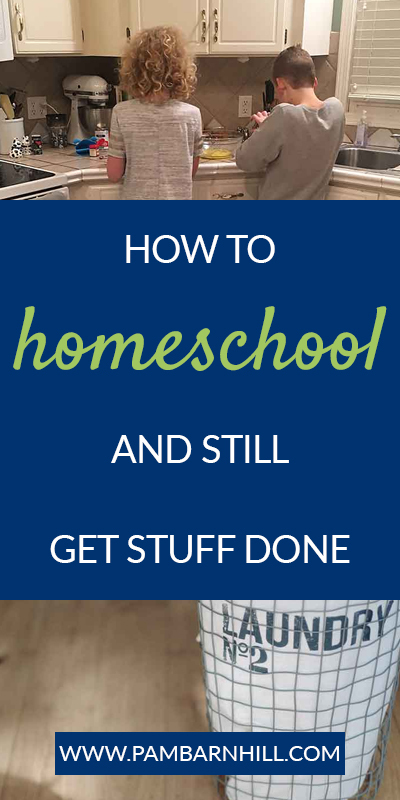 It IS possible to homeschool well and have a pretty clean house. BUT if you do, you won’t have much time for doing anything else. 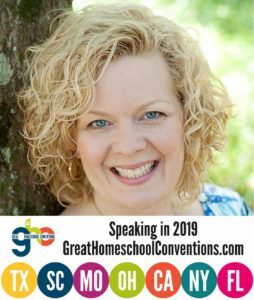 If a clean house is your second priority behind homeschooling (and you know as a homeschooling mom that homeschooling is your first priority, right? ), then you can have a fairly clean house. It’s not mine. I would say the clean house is about fourth on the list here and everyone at my house is fine with that. We clean well every other Friday afternoon or Saturday morning. In between, we keep things picked up, the kitchen tidy, and anything from becoming gross. By the time it is time to mop those floors again, I am so ready to get it done. So step one is to determine your need for clean and see if the rest of your family is ok with that. Based on that, you can determine how much time you need to spend cleaning and plan accordingly. Here are some helpful things to remember. 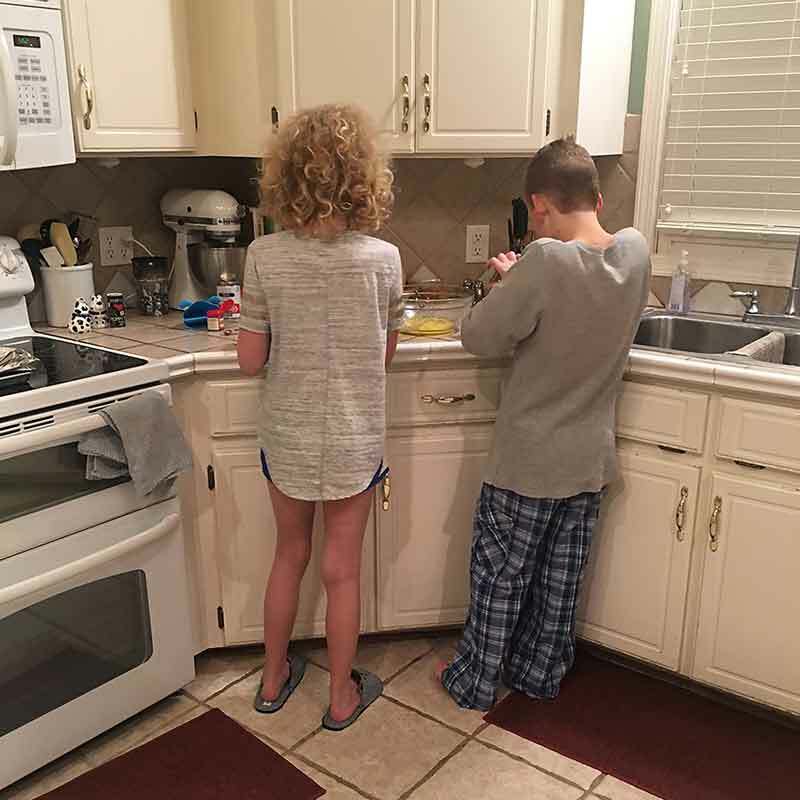 Kids can have chores. Anyone over the age of three can learn to be a good helper and do things like unloading and loading the dishwasher, swishing toilets, dusting, wiping countertops and sinks, and running a Swiffer or vacuum. Give a couple of chores each day for each child and a 15 minute tidy at the end of the day where everyone works together. With this, you can maintain some semblance of a clean house (even if it won’t pass the mother-in-law’s “white-glove” test). Routines are your best friend. Now that is the bare minimum, but it keeps our house a few minutes from drop-by company-ready most of the time. For more about routines and keeping house, I refer you to Mystie and her Sweep and Smile course. Here’s the deal. All of the tips I have given you above are about being proactive instead of reactive. They are about controlling your normal so that you can then deal with the unexpected with grace. 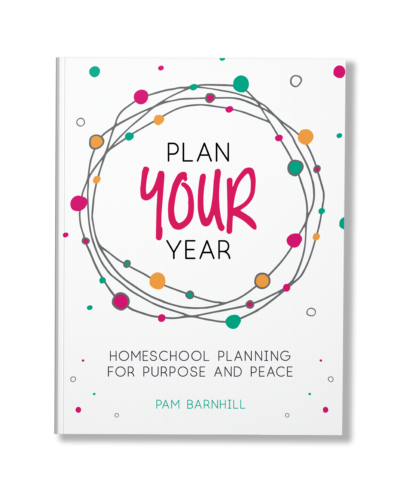 Taking some time to plan for the everyday (and emergencies) like you would plan for a school year or a vacation will pay huge dividends in your peace of mind as you homeschool. And in those lessons, your kids are learning in your home. Thank you, Pam! These are great ideas! Love these ideas! I think the biggest thing that’s helped me is putting my girls (14, 11, and 8) totally in charge of their own laundry from start to finish. Agree! My girls do their laundry on Thursdays; my boy does his on Tuesdays. It is the best thing ever. These are excellent tips! I’m in that season of life where we are doing bare minimum for now. We’re expecting baby #4 in a couple months so I’ve been taking it easy as much as possible (I’m not a spring chicken)! Thankfully I’ve got an amazing husband who has been wonderful in helping with household maintenance, cooking, even homeschool when I’m too tired/sick/at appts/etc. Just yesterday I had a dr appt and I came home to school being done, the kitchen cleaned up and the kids eating lunch before he had to scoot out the door for work! We grocery shop/meal plan for the month (sans produce, etc)- I make the plan, the list and my husband does the shopping. When he gets home, we prep everything that can be prepped like cutting up veggies, cooking/divvying up portions of ground beef for things like tacos/spaghetti/chili/etc, trimming/cutting/bagging chicken breasts and meat, putting together any freezer meals and things like that. Anything to make dinner easier! We also allow some room for getting food out when we’re not feeling the cooking (Hello, Popeyes chicken!). We (try to remember to) do a 15min blitz clean-up before bed- we set a timer on Alexa, play some fun music and pick up! Our kids are on the younger side (4-8yo) but they enjoy the competition of beating the clock. If we simply say “the toys need picked up” we get the grumbling moans of children who’ve gone boneless on the floor…make it a fun race and they’re all for it! “grumblings moans of children who’ve gone boneless on the floor”. Oh my, this gave me a good giggle because it is so true. Thanks for the laugh. I have come to accept that this is not the season for amazing gourmet meals. We have allergy issues which limit a lot of the easy meals most people can do. We do a lot of bacon and gluten free toast for breakfast. For a treat I will make gluten free pancakes with chocolate chips. Lunch is often leftovers or bunless burgers with baked french fries. My dinners are not terribly excited or complicated but they do meet our nutritional requirements. Beans and rice, grilled chicken breasts, baked chicken, ground beef, frozen gluten free pizzas, and gluten free pasta. Yep! There will be a time for that. If you aren’t interested in cooking as a little hobby (and I am not at the moment) then now is not the time! What great tips! This is the time of year where it seems there are so many activities going on it’s hard to be consistent. I need to get back into meal planning, that is my necessity. 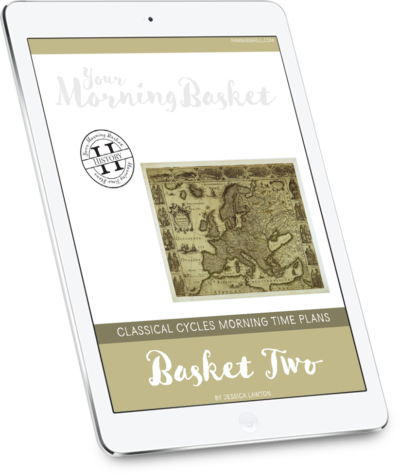 Our “bare minimum” is part of our school day in the form of habits, making the beds and some light chores for myself and my son. After that, we begin our Morning time. I’m so glad this post reminded me to stay on track! We have a much – loved tradition called the Five Minute Clean Up, which I swear by. It’s actually amazing how much kids can get done in five minutes! I motivate them with some fun, up beat dance music and they work together to tidy up anything that’s out that shouldn’t be. If it’s still out at the end of five minutes, we don’t worry about it – that’s the key to this little trick! No nagging! – but more often than not, everything ends up cleaned up and put away. Last year I decided, similar to you, to schedule a big weekly clean up rather than trying to do it all every day. 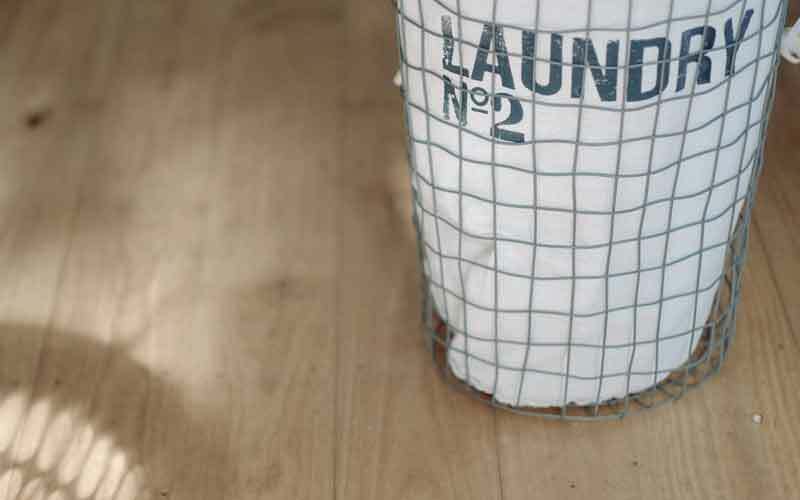 Knowing that our cleaning day is coming helps me to overlook some of the daily mess, to find peace without perfection, and hold back the nagging. Messy munchkins know their rooms have to be clean Friday afternoon so they can participate in fun family time that night. Yes, having a plan for when it will be done helps put it out of mine (somewhat) until then! Yes kids are always hungry after evening activities! Having toddlers is like always living in bad day mode…so having special plans for those years is essential. These are great tips. I like the simple cleaning routines. I can make it complicated. I have a different level of clean than the rest of my family which is a constant battle. Trying to help them put stuff away and use gentle words day after day is hard. I have yet to find a laundry routine that works… and by not working, I mean put folding and putting away and ironing is a fiasco. I have a 7, 4, and 8 mo old and professional husband so yes, his shirts do need to be ironed. I don’t find that taking them straight out of the dryer yields completely wrinkleless results as some claim. My oldest is just getting old enough where she can help some but the other two are a little young. I have fibromyalgia and P.O.T.S. so mornings are really, really tough for me. My husband (with my recommendation) chose the child that has strong leadership skills (age 13) to be the Morning Captain. She now rises before the family, cooks breakfast, delivers my morning coffee to me in bed and then calls everyone for Morning Prayers and breakfast. This gives me the time I need to slowly rise from bed and gets everyone going. Some important things: 1) She is not the oldest, just the strongest in leadership skills. This not only takes advantage of her personality for doing the best job, but also builds her self confidence. 2) My husband works from home most days, so he is able to pray Morning Prayers with them all and keep an eye on behavior. P.S. I have 12 children. Two have moved out on their own and two more are in college. So I only homeschool 8 of them. I needed this so badly. I ought to have “Be PROACTIVE, not REACTIVE” tattooed on my forehead.